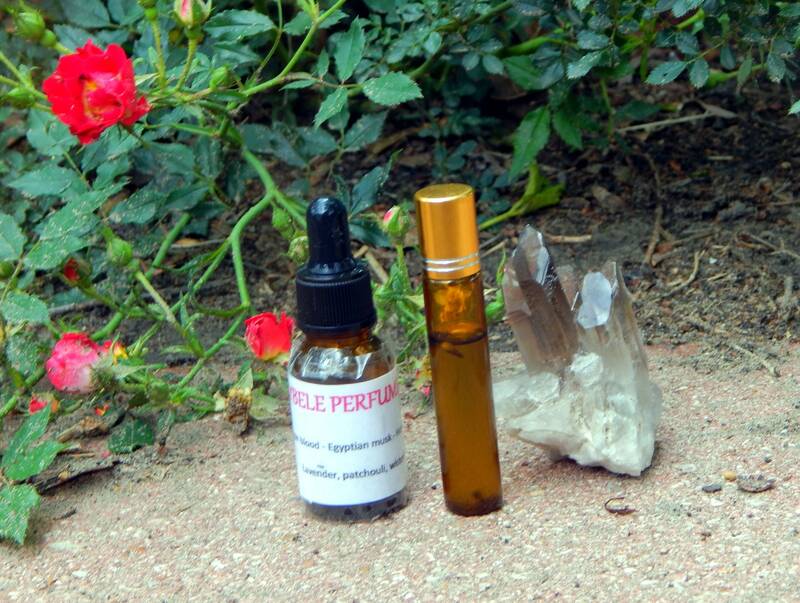 Choose 1 oz (30 ml), 1/2 oz (15 ml) or 10 ml roll-on bottle of hand-crafted Bohemian Collection Perfume Oil created by Astrelle. Use on body, candles, Altar tools and more- made with organic ingredients and an Apricot seed oil base. 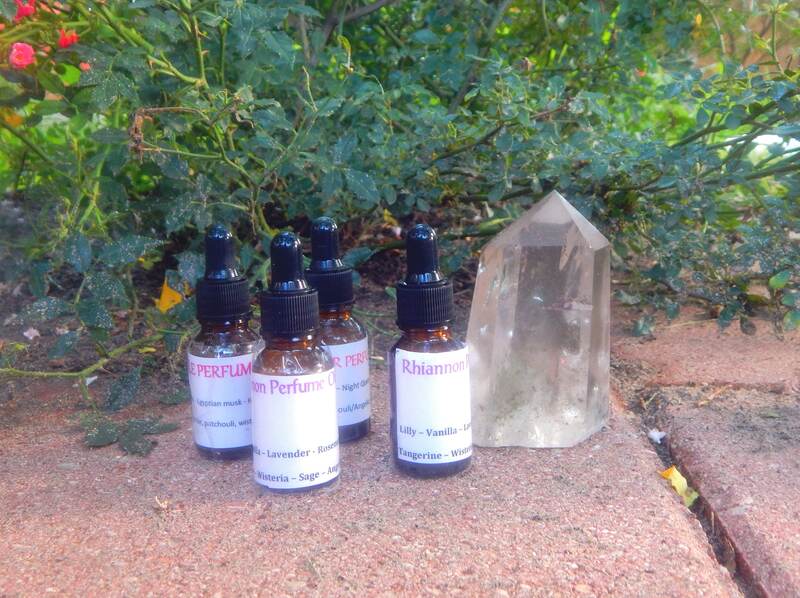 Included in the perfume will be some herbs and stones- please contact me before buying if you have any allergy concerns. 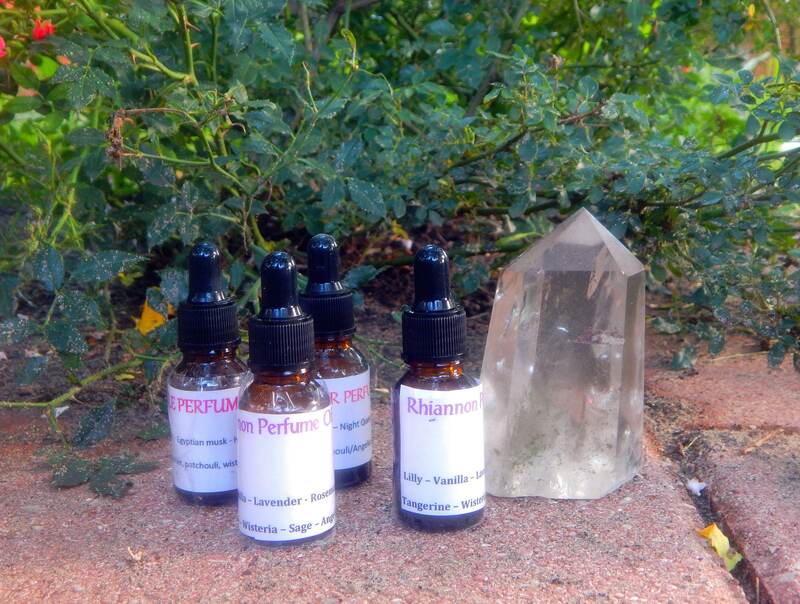 These fragrances are made to last all day long when worn, and can be used without spoilage up to 2 years. Store in an area that is cool and away from sunlight. 100% organic, vegan, cruelty free. TRAVEL SIZE includes 15ml dropper bottle and 10 ml roller bottle, pre-filled with your scent. 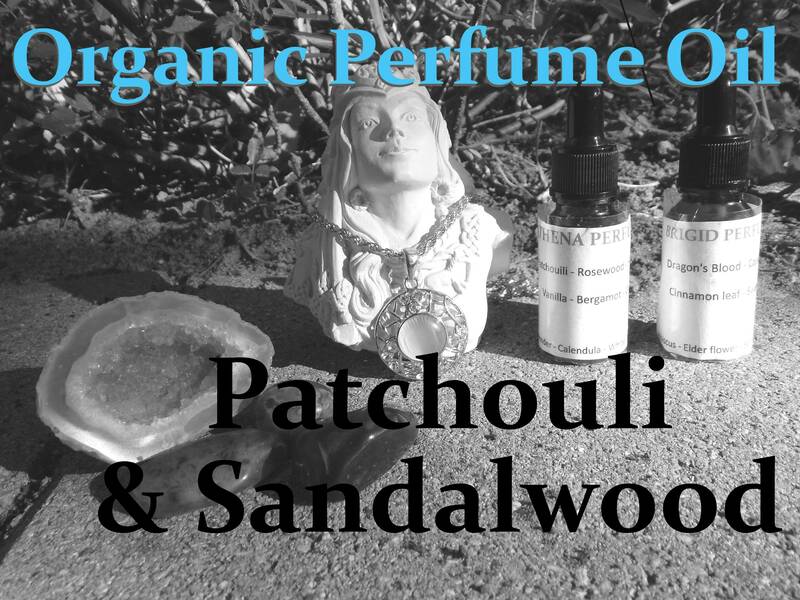 Patchouli and Sandalwood -- An uplifting, timeless blend of Patchouli, white sandalwood and red sandalwood. This perfume features genuine ground patchouli leaf and real bits of red sandalwood bark, blended with White Sandalwood and Patchouli essential oils. Includes green Aventurine chips for abundance and harmony.